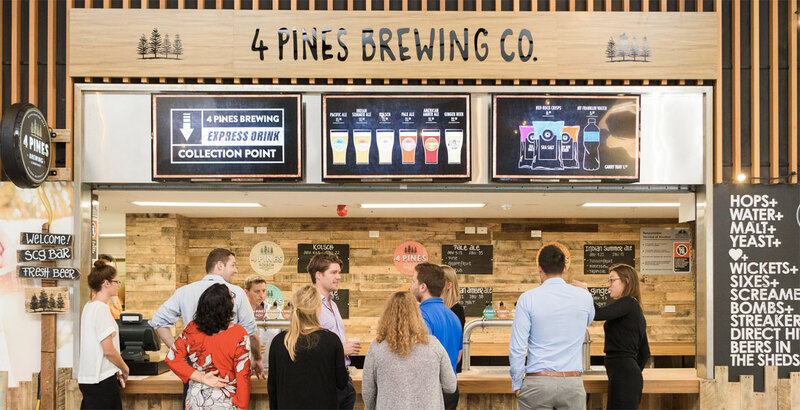 Sports fans will be able to get their hands on 4 Pines beers at the SCG after the Manly based operation secured a deal to run its own bar at the famous old cricket ground. A selection of their beers will also be on offer at other bars in the stadium. Today's announcement comes hot on the heels of the brewery opening bars on four Manly Ferries and follows a series of other sporting partnerships. It also comes in the same week that Newstead Brewing, who unveiled its own partnership with Queensland Rugby Union in February, revealed it has lined up a deal that sees two of its beers now offered on Queensland Rail Travel's long distance services, Spirit of the Outback and Spirit of Queensland. As for the SCG deal, 4 Pines co-founder Jaron Mitchell says the creation of the new bar stemmed from the past summer's cricket season. 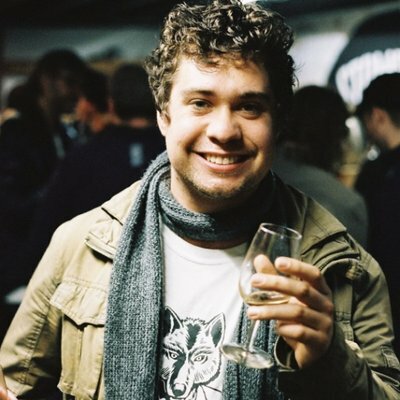 “We had our beers on at the SCG during the Ashes and the summer of cricket and there were games and days where 4 Pines Kolsch outsold anything and we’re talking big brands as well," he told The Crafty Pint. The bar, which is a permanent fixture at the stadium will stock the brewery’s Kolsch, Pale ale, Indian Summer Ale and Brookvale Union Ginger Beer. Jaron says there will be opportunities to explore other beer styles in the future, thanks the SCG’s licensing agreement. “The SCG is a very liberal sporting ground already,” he says. “Most grounds around the country don’t serve anything above mid-strength but the SCG is a bit of an exception to that. So, as a consequence, we can showcase a variety of our styles, but it’s not like we’ll be chucking on eight percent Keller Door beers to launch with – for good reason. Jaron (pictured below) says the brewery being owned by AB InBev was pivotal in securing the deal, adding that these kind of deals show what is now possible for the 4 Pines brand since its sale to the world's biggest brewing company last year. In a media release, SCG Trust CEO Jamie Barkley said he was “delighted” a Sydney craft beer would be available at Sydney’s favourite sporting ground. “The SCG celebrates the best of sport and we also celebrate the best of Sydney, so 4 Pines is an ideal addition to a day at the footy or cricket,” he said. As for Newstead Brewing, the deal to provide its 3 Quarter Time Session Ale and The Mayne Thing Golden Ale on QRT trains follows recent partnerships with both the QRU and Queensland's Alliance Airlines. All three are guided by a desire to forge connections within the brewery's home state. 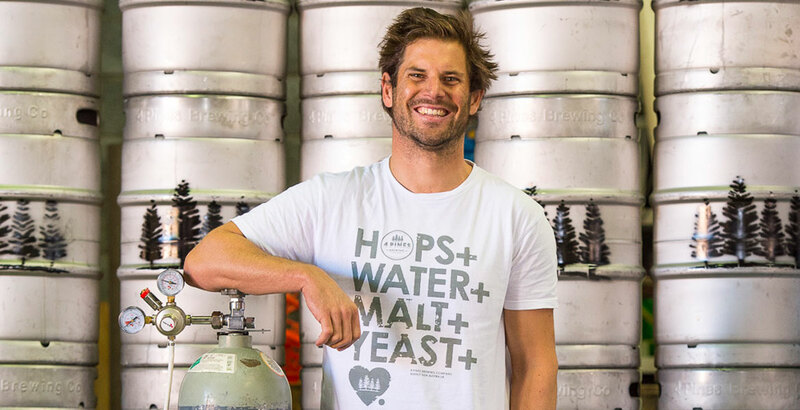 Brewery brand ambassador Darren Magin said: "We are proud to have our roots in Queensland, and to see the availability of our beer – which is produced right here in the heart of Brisbane – on board these magnificent trains is fantastic. We hope that our inclusion provides a platform for QRT’s customers to enjoy a heightened Queensland experience. "We’re thrilled to have the support of an iconic rail company such as Queensland Rail. To witness such an institution willing to express a desire to break the mould by offering products from a local, independent brewery is huge."